In the present research, aluminum 7075 alloy as base matrix metal and nano-silicon carbide (SiC) was selected as a reinforcement material. The Al 7075 MMCs was fabricated by varying weight percentage of reinforcement particles (1.0, 2.0, 3.0 and 4.0%) having particle dimension of 50 nm by using liquid metallurgy technique. Advanced computerized wear tester was used for wear evaluation with EN 32 steel disk and round pin as the nano-composite sample. The rate of wear considering weight loss, friction coefficient, and specific wear rate was determined for the Al 7075 metal matrix and nano-composites. The results of nano-enhanced composite disclose better resistance to wear than tougher metal (Al 7075). The microstructural examination of the worn surface area of the composite sampling was analyzed using SEM. Weight loss of composite instances was identified, in addition to the distinction of wear loss with load which has been determined to be normal for both the metal matrix and the strengthened composites. It was, moreover, observed that the wear rate is reduced for nano-composites compared with the base metal. 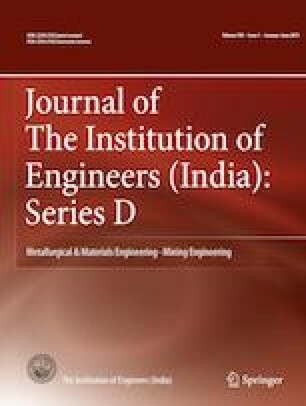 It was observed from the assessments that the wear rate reduces with enhancing weight percents of silicon carbide (SiC) and friction coefficient decreases with elevating sliding rate and also the weight percent of SiC. SEM examination revealed the existence of SiC and various other stages. The much more significant wear features (rate of wear, friction coefficient and weight loss) were increased with 4 wt% SiC composite as compared to Al 7075 matrix metal. Sonagiri Suresh: Research Scholar; G. Harinath Gowd: Professor; M. L. S. Deva Kumar: Vice Principal and Professor. The corresponding author wishes to thank the Department of Mechanical Engineering, Jawaharlal Nehru Technological University, Ananthapuramu, India, for providing facilities and necessary support in conducting experiments and also Department of Mechanical Engineering, MITS, Madanapalle, India, for their support and discussion in the research Work.